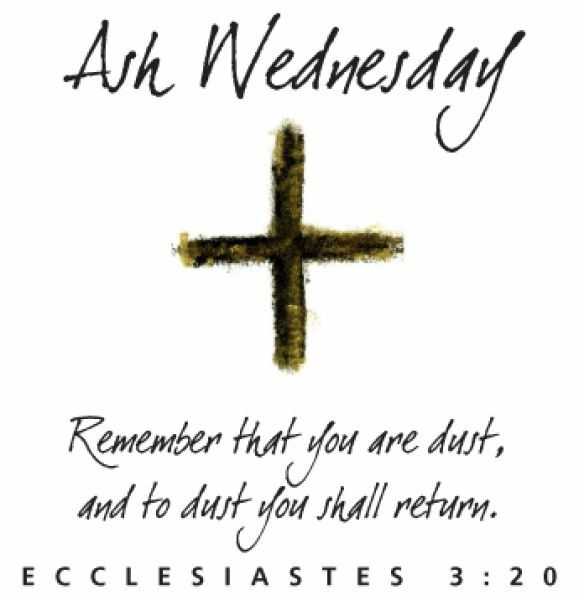 Ash Wednesday | ADULT CATECHESIS & CHRISTIAN RELIGIOUS LITERACY IN THE ROMAN CATHOLIC TRADITION: hosting ONLY True Christians!! !, or "How to think Catholic!!" 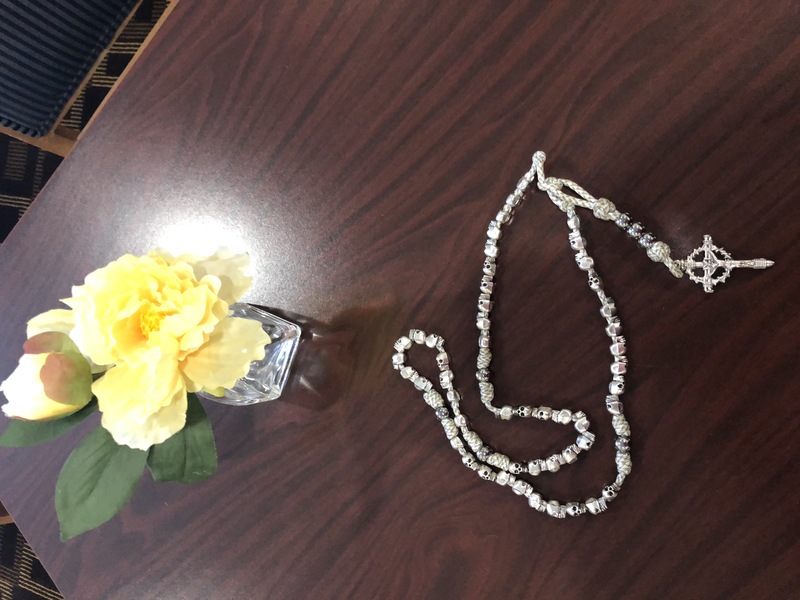 -above is a picture of my “memento mori” rosary. I had it especially made. There are few like it. It is one of my favorite rosaries, and, yes, I have a few. 🙂 The Hail Marys are skulls. Please click on the image for greater detail. The Roman triumph (triumphus) was a civil ceremony and religious rite of ancient Rome, held to publicly celebrate and sanctify the success of a military commander who had led Roman forces to victory in the service of the state or, originally and traditionally, one who had successfully completed a foreign war. On the day of his triumph, the general wore a crown of laurel and the all-purple, gold-embroidered triumphal toga picta (“painted” toga), regalia that identified him as near-divine or near-kingly, and even was known to paint his face red. He rode in a four-horse chariot through the streets of Rome in unarmed procession with his army, captives, and the spoils of his war. At Jupiter’s temple on the Capitoline Hill, he offered sacrifice and the tokens of his victory to the god. Republican morality required that, despite these extraordinary honours, the general conduct himself with dignified humility, as a mortal citizen who triumphed on behalf of Rome’s Senate, people, and gods. Inevitably, the triumph offered extraordinary opportunities for self-publicity, besides its religious and military dimensions. In Republican Rome, truly exceptional military achievement merited the highest possible honors, which connected the vir triumphalis (“man of triumph”, later known as a triumphator) to Rome’s mythical and semi-mythical past. In effect, the general was close to being “king for a day”, and possibly close to divinity. He wore the regalia traditionally associated both with the ancient Roman monarchy and with the statue of Jupiter Capitolinus: the purple and gold “toga picta”, laurel crown, red boots and, again possibly, the red-painted face of Rome’s supreme deity. He was drawn in procession through the city in a four-horse chariot, under the gaze of his peers and an applauding crowd, to the temple of Capitoline Jupiter. The spoils and captives of his victory led the way; his armies followed behind. Once at the Capitoline temple, he sacrificed two white oxen to Jupiter and laid tokens of his victory at Jupiter’s feet, dedicating his victory to the Roman Senate, people, and gods. Behind the general, in the same chariot, was placed a slave whose sole responsibility was to remind the general of his mortality as a hedge against excessive pride, the kind that comes before the fall. “Memento mori”, the slave would whisper, “Someday you will die.” We are equal coming in and going out of this world. 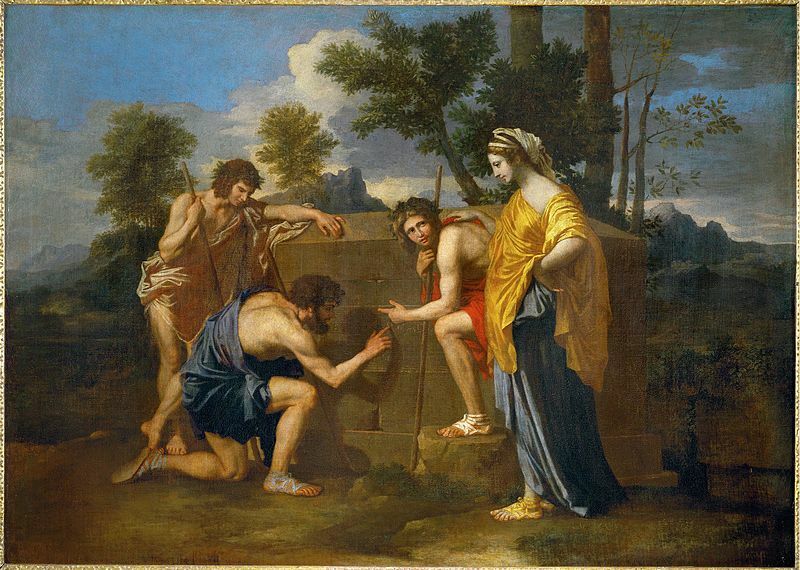 -“Et in Arcadia ego” (also known as Les bergers d’Arcadie or The Arcadian Shepherds) is a 1637–38 painting by Nicolas Poussin (1594–1665). It depicts a pastoral scene with idealized shepherds from classical antiquity clustering around an austere tomb. It is held in the Louvre, Paris. I volunteer in hospice, and with dementia/alzheimer’s patents. It is a profound understatement to say it is humbling, sobering, heart & thought provoking work. In particular, I volunteer for what is known as “vigil” service. This is providing others human companionship, on a continuous basis around the clock in the last hours or days, typically, of their lives. I would hope someone would do it for me. In particular, we try to relieve family members during non-waking hours, to give them rest and respite. To give them peace that their loved one is not alone, and should they pass when family, if any, is not present no one should die alone. Our work brings relief to both family and medical staff who have too much responsibility for others to offer this human compassion, although they desperately desire to offer it, during their regular duties. I may read to patients/residents appropriately for their faith or lack of faith persuasion, particularly scripture, both Old and New Testaments, or just Hebrew scriptures if Jewish. But, if not religious, whatever text they may have of their own, that brings them comfort. If Catholic, I may say the rosary or Divine Office/Liturgy of the Hours/Office of the Dead for them. Sometimes, I play soft music. Often, those “actively dying” are non-communicative, but not always, most definitely not always. Hearing is known to be the last sense to succumb. I also teach young people. It is a profound, lived experience in mid-life to spend the day with young people at the prime of their health and beauty, typically, their joyfulness, their silliness, their boundless energy, their certain joie de vivre, their understandable lack of care about the future and their health, their strength, their goofiness, their playfulness, their love of talking to, with, and about each other, constantly, and then to journey just a few minutes to my service for the dying, their diminishment, their humiliation, shame, despair, at their profound inability to care any longer for self, let alone others; they who ruled the world a short time ago. It reminds me of one of my favorite poems, which I find myself self-repeating to myself, as I drive. So much for the glory of man. Or, from my favorite poet, Sara Teasdale’s, “November”: “The world is tired, the year is old, the faded leaves are glad to die.” Yes, they are. Yes, they are. Yes, I will. “We are all going to die. 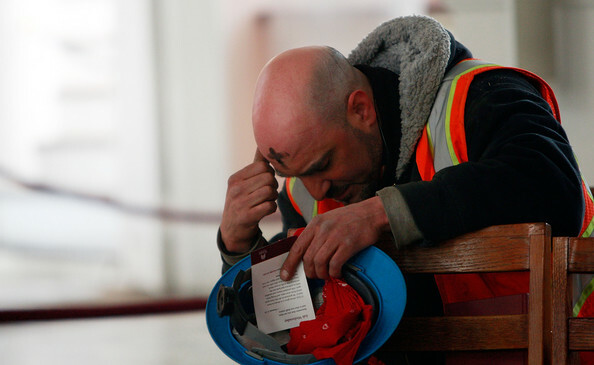 We were reminded of this on Ash Wednesday when the priest put ashes on our heads saying, “Remember that you are dust, and to dust you shall return.” We need to be reminded about the reality of our death because we forget so easily. Our culture desensitizes us to the fact of dying. It makes death seem so commonplace as to be almost unbelievable—or, at least, so prevalent that we think it could never really happen to us. We see this in action movies where the death of combatants costs nothing: sure, a couple of those soldiers got blown up, but we didn’t really know them; they weren’t really central to the story. The good guys win, and we forget about the dead. We also see it in video games where players can continuously get killed and then “re-spawn” at no cost. Obviously, for the Christian, the answer is a resounding “of course.” Our life is given meaning by the promise of an eternity of happiness with God, greater than anything beyond our wildest dreams. But life doesn’t just have meaning because of the promise of something we will eventually receive but currently lack. Those in the state of grace possess immortality now by sharing in the eternal life of God Who dwells deep within the soul. St. Augustine says that God is “more inward in me than my inmost self.” When we recognize that the Undying One wants to dwell deep within us, we begin to glimpse the true meaning He can give to our lives. But we only arrive at this recognition if we open ourselves to this reality and conform ourselves to His love. At baptism, this most intimate, immortal indwelling of God is planted in the soul like a seed. Through frequent reception of the sacraments (especially Holy Communion and confession), God cultivates this indwelling presence so that it will blossom into a fruitful tree when the soul reaches Heaven. But we forget so easily that His immortal life can be within us; and, as a result, we also forget the true meaning of our lives. Our consumerist lifestyle tends to bury the question of our origin and our end: it’s a defense mechanism meant to self-medicate us against the fear of not having answers to such fundamental questions. But Lent is a chance to remember—not only our impending death—but the reality that the God who never dies can live within our souls and can invite us to share that life with Him. So how does Lent jog the memory? The three pillars of Lenten (and, really, Christian) observance are prayer, fasting, and almsgiving. Fr. Francis Martin teaches that we pray so that we can relate to God; we fast so that we can deprive ourselves; and this self-deprivation prepares us for almsgiving. The idea behind this is that human beings are self-centered. We eat up everything: food, money, time, clothes, TV. But fasting counteracts that selfish tendency of our fallen nature. Depriving ourselves prepares us to give of ourselves and thus grow in charity (that is, love, the life of God within us). Counteracting our own selfishness prepares us, for instance, to be patient with those who annoy us and kind to those we can’t stand. So fasting prepares us for almsgiving, but neither have a context without prayer—without recognizing and communicating with the God Who dwells deep in the souls of His faithful ones. “Presence of God – O Jesus Crucified, grant that my love for You may make me willing to crucify my flesh with You and for You. As a result of original sin, man no longer has complete dominion over his senses and his flesh; therefore he is filled with evil tendencies which try to push him toward what is base. St. Paul humbly admits: “I know that there dwelleth not in me, that is to say, in my flesh, that which is good…. For the good which I will, I do not; but the evil which I will not, that I do” (Romans 7:18,19). God certainly gives us the grace to overcome our evil tendencies; but we must also use our own efforts, which consist in voluntary mortification: “They that are Christ’s have crucified their flesh, with the vices and concupiscences” (Galatians 5:24). The purpose of corporal mortification is not to inflict pain and privation on the body for the pleasure of making it suffer but to discipline and control all its tendencies which are contrary to the life of grace. The Apostle warns us: “If you live according to the flesh, you shall die: but if by the Spirit you mortify the deeds of the flesh, you shall live” (Romans 8:13). We must curb ourselves in order to avoid falls; we must prune the useless or harmful branches in order to avoid deviation; we must direct toward good the forces which, left to themselves, might lead us into sin. For these reasons mortification, although it is not an end in itself nor the principal element in the Christian life, occupies a fundamental place in it and is an absolutely indispensable means toward attaining a spiritual life. No one can escape this law without closing off all access to eternal salvation, to sanctity. St. Paul, who had done and suffered much for Christ, did not consider himself dispensed from it, and said, “I chastise my body and bring it into subjection: lest perhaps, when I have preached to others, I myself should become a castaway” (1 Corinthians 9:27). “This servant of Thine, my God, can no longer endure such trials as come when she finds herself without Thee; for if she is to live, she desires no repose in this life, nor would she have Thee give her any. This soul would fain see itself free: to eat is a torment; to sleep brings only anguish. It finds itself in this life spending its time upon comforts, yet nothing can comfort it but Thee; it seems to be living against nature, for it no longer desires to live to itself, but only to Thee” (Teresa of Jesus, Life, 16). O Lord, help me, I beg You, to free myself from the slavery of the body! Teach me to conquer its extravagant demands and to mortify its pretensions. You have given me this body of flesh, in order that I may serve You on earth. Grant that it may not become an obstacle to me and hinder the generous, total gift of my whole self to You. How far I am, O God, from the austerities and mortifications of the saints! “Do I, perhaps, think they were made of iron? No: they were as frail as I. O Lord, help me to understand that once I begin to subdue my miserable body, it will give me much less trouble” (Teresa of Jesus, Way of Perfection, 11). Why should I be terrified by the fear of losing my health? The same Saint made himself such a proficient in this virtue that it might be called the weapon most frequently and constantly handled by him through his whole life until his last breath; and by this he succeeded in gaining absolute dominion over all the movements of his inferior nature. Therefore, he kept his own passions so completely subject to reason, that he could scarcely be known to have any. This Saint was always an enemy to his body, treating l it with much austerity—-chastising it with hair-cloth, iron chains, and leather belts armed with sharp points. Every morning on rising, he took a severe discipline—-a practice which he had begun before founding the Congregation, and which he never omitted on account of the hardships of journeys, or in his convalescence from any illness; but, on the contrary, he took additional ones on special occasions. All his life he slept upon a simple straw bed, and always rose at the usual hour for the Community, though he was generally the last of all to retire to rest, and though he often could not sleep more than two hours out of the night, on account of his infirmities. From this it frequently happened that he was much tormented during the day by drowsiness, which he would drive away by remaining on his feet or in some uncomfortable posture, or by inflicting on himself some annoyance. Besides, he willingly bore great cold in winter, and great heat in summer, with other inconveniences; in a word, he embraced, or rather sought, all the sufferings he could, and was very careful never to allow any opportunity for mortifying himself to escape. This Saint had, by long habit, so mortified his sense of taste that he never gave a sign of being pleased with anything, but took indifferently all that was given him, however insipid or ill-cooked it might be; and so little did he regard what he was eating, that when a couple of raw eggs were once set before him by mistake, he ate them without taking the least notice. He always. seemed to go to the table unwillingly, and only from necessity, eating always with great moderation, and with a view solely to the glory of God; nor did he ever leave the table without having mortified himself in something, either as to quantity or quality. For many years, too, he kept a bitter powder to mix with his food; and he usually ate so little that he frequently fainted from weakness. For them it seems pretty clear that any use of ashes in association with fasting contradicts what Jesus says here and therefore constitutes disobedience to Him. This conclusion is unwarranted. Jesus says that one of the proper effects of our good works is to serve as a witness to others, so that they will come to glorify God as we do ourselves. This being the case it is likewise clear that to hide one’s good works at all times and in every case amounts to a direct contradiction of what He says here. We may reasonably conclude that our good works are good not just for our own souls but also for the souls of others. The next thought to consider is whether fasting qualifies as a “good work.” I believe that this goes without saying. It is unquestionably a good work when done for the right reason: namely, as a sign of our penitence before God. I ask, then, whether there is any reason to suppose that fasting is a good work that we should let other men see? In light of Matthew 5:16 is it reasonable for others to see our penitence? Yes. There is good reason to suppose that fasting should at least sometimes be seen by others. Why? Because it is a sign of penitence, and it is absurd to suppose that men would always and only be harmed by seeing our penitence. Indeed, the fact of our repentance could very reasonably be understood by others as a reason that they too should be sorry before God for their own sins. So fasting is a good work, and it is perfectly reasonable to hold that others may benefit from seeing us fast, and thereby come to glorify our Father who is in heaven (as Matthew 5:16 says). But fasting is something that isn’t immediately obvious. We can’t look at a man and thereby know that he is fasting. Hence the value of the sign of ashes, which are a visible sign of the inward realities of penitence and fasting. 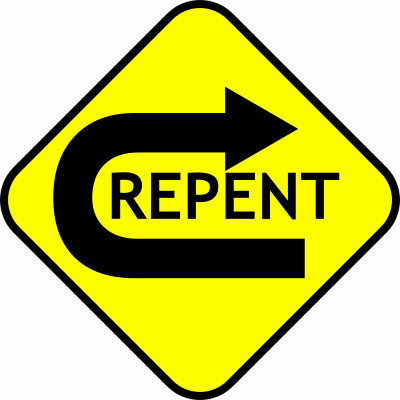 Contrary to being an evil thing, an external sign of penitence is a good thing precisely because it shows to other men that we are penitent—something that is a good work, and which therefore (in keeping with the Lord’s command in Matthew 5:16) we ought (at least sometimes) to let men see so that they too may glorify God with us. In context the Lord’s point is clear: when we do good, and when we give alms, and when we pray, and when we fast, our goal must not be to gain the approval of men, and we must not be hypocritical: that is, our good deeds, alms, prayers, and fasting must be genuine. In this light there is no conflict at all between the Lord’s prior command (in Matthew 5:16) to let men see our good works and these commands. We do good not for the sake of the praise of others and not as hypocrites but out of love for God, and in the hope that if men do see them, they will be moved to glorify God with us. So the point with regard to fasting (in Matthew 6:17) is not that ashes are simply out of bounds, but that we must be truly penitent.